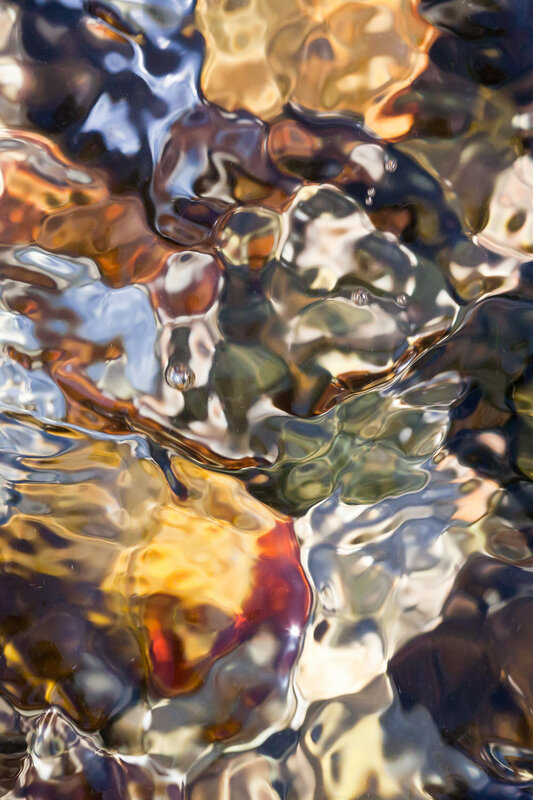 In this series I explore the dramatic transitions of colour and form that occur from moment to moment in one small area of a fast-flowing tidal stream. 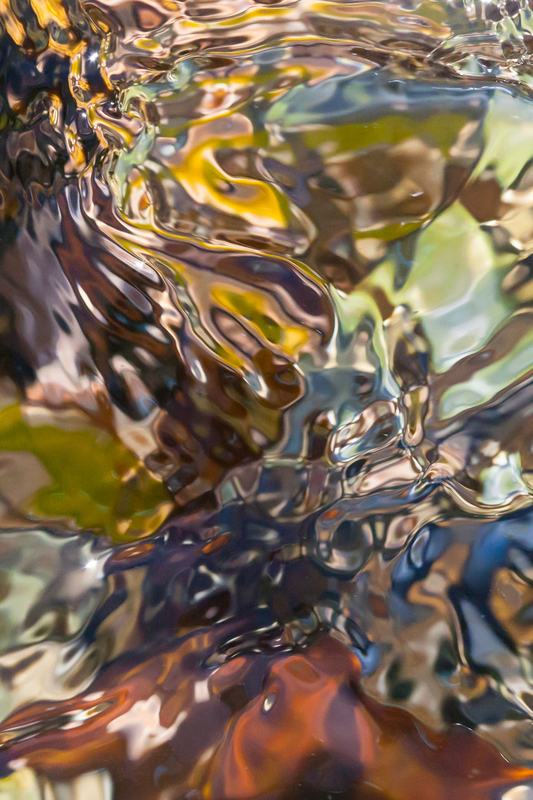 As the waters ebb and flow, forms appear and shift as colours erupt and coalesce, in an endless play of organic movement. Using very fast shutter speeds, the undulating surface motion is captured, like a fleeting memory, as the water flows on. For me it is a poignant study of the momentary nature of time itself.